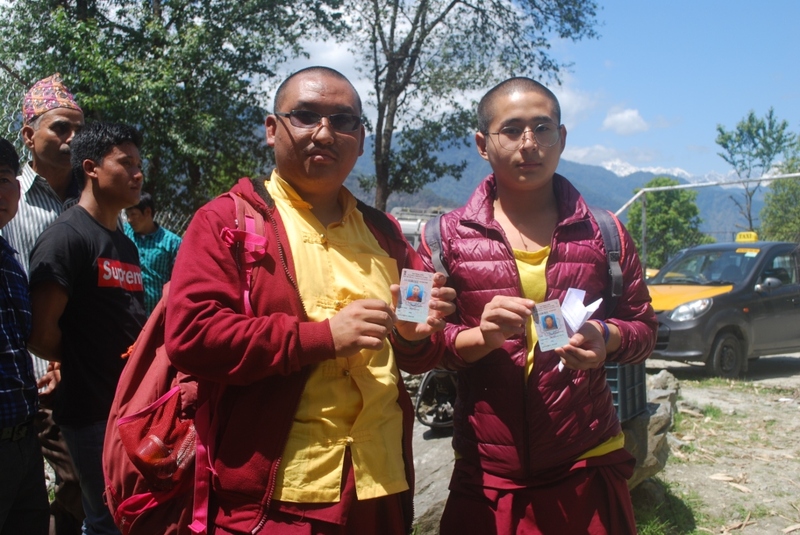 68.05% was the overall total turnout recorded for Sangha constituency, a one-of-its-kind monastic voting reservation, unique to the state of Sikkim. 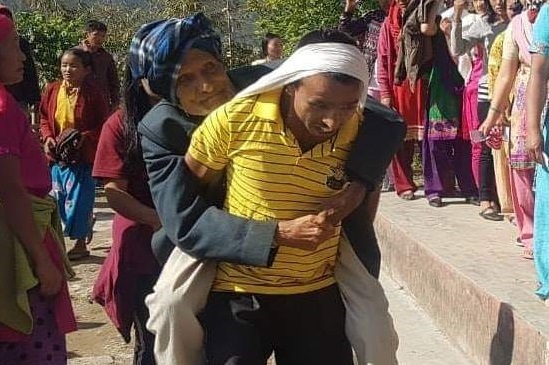 Sikkim has recorded a total of 78.19% voting in the Assembly and parliamentary polls 2019 held on Thursday in the state. This time, however, the state has recorded some decrease in the voter turnout compared to last poll in 2014, which was around 83%. As per the voter turnout report issued by the Election Commission early this morning, the state has recorded total voting of 78.19%, which includes 78.55% male voter and 77.81% female voter. North District has recorded the highest turnout of 81.74%, which was followed by West District with 81.64%. Likewise, South District has recorded 78.07% voting while East District had a voter turnout of 75.60% and finally Sangha seat has recorded voting of 68.05%. North district witnessed a total of 81.74 percent vote cast, which registered 81.95% of female votes and 81.51% of male votes. There are 31, 126 registered voters in the district which includes 15,608 male and 15,518 females voters. According to figures of State Election Department, there are 12,604 registered voters in Kabi Lungchuk constituency, 9,253 voters in Djongu and 7,797 voters in Lachen Mangan. South District has recorded turnout of 1, 17, 564 voters out of which includes 59,359 male and 58,205 female voters. A total of 1, 29, 304 voters cast their votes out of the total 1, 71, 028 registered voters in East District. The overall female voter turnout was recorded at 63,475 and the male voter turnout was 65,829. 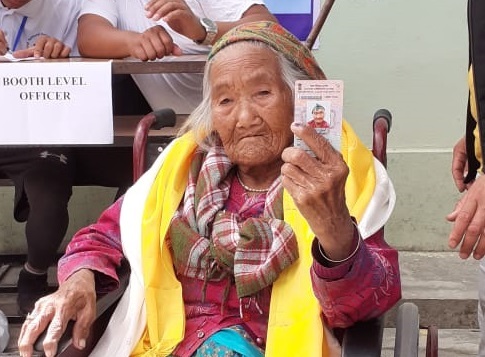 A total of 90,213 voters exercised their franchise out of the 1,10,497 registered voters in the 141 Polling Stations of West Sikkim. A total of 46,323 males and 43,890 females voted for the eight Assembly constituencies. 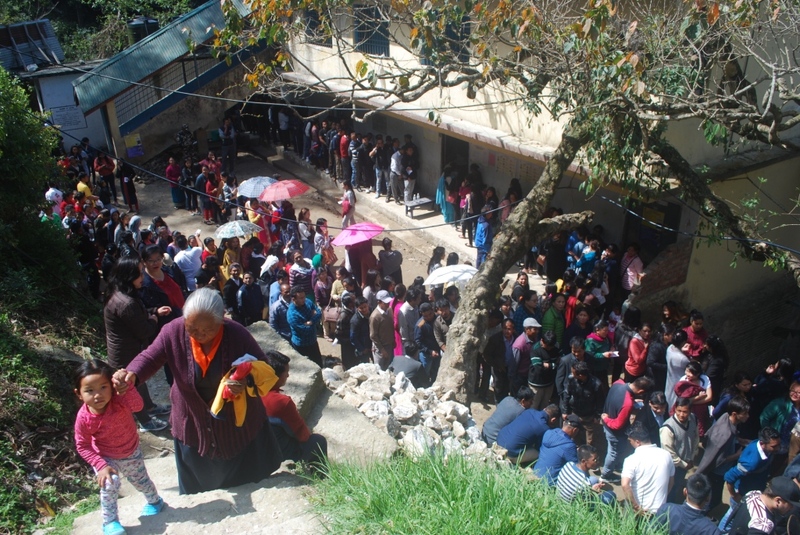 Likewise, 68.05% was the overall total turnout recorded for Sangha constituency, a one-of-its-kind monastic voting reservation, unique to the state of Sikkim.